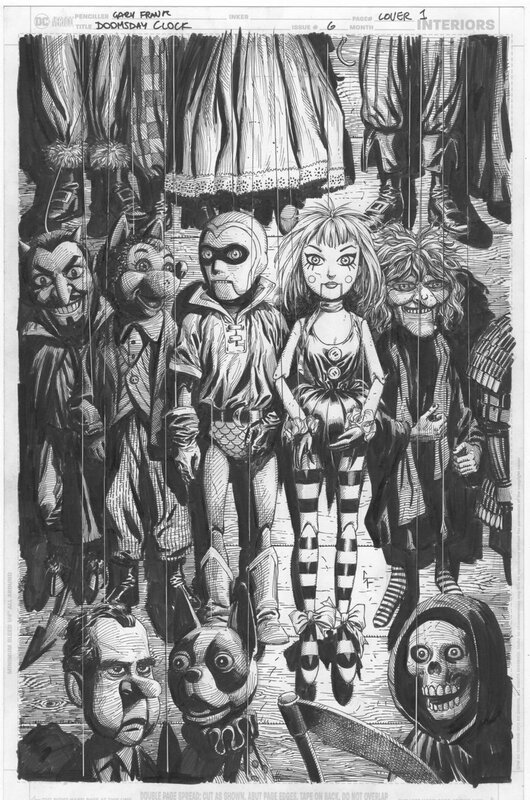 Gary Frank shares a look at the cover for Doomsday Clock # 6 and it calls back another tragic Watchmen character who may have ties to the two new characters introduced in the book. So it looks like Hollis Mason aka Nite Owl 1 will be figuring prominently in the story written by Geoff Johns and Gary Frank. Hollis Mason was the one who kick started the whole masked vigilante in the Watchmen universe. 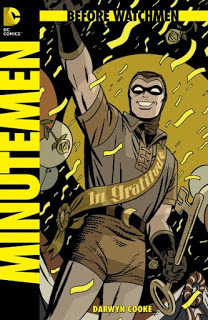 He also joined the Minutemen and laid the foundation for Dan Dreiberg to become Nite Owl 2. 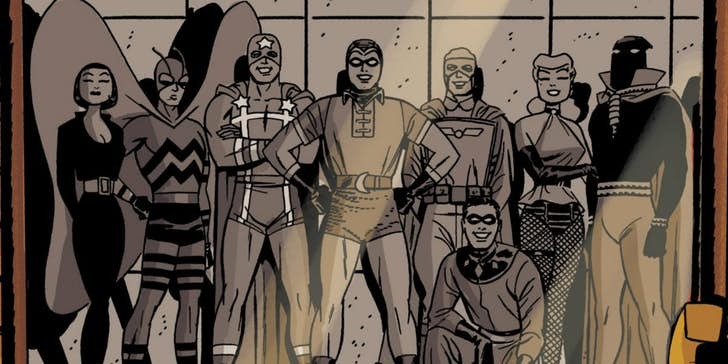 In the last few issues of Alan Moore’s Watchmen, Mason dies at the hands of the Top-Knot gang who mistakens him for the second Nite Owl, who was at the time dealing with Ozymandias, trying to foil his plans. Whatvs being implied in the cover for Doomsday Clock # 6 is that Mason has some unrevealed ties to the character Marionette, who was introduced back in Doomsday Clock # 1. Could he be her father? Another lover? Mentor? We’ll have to wait for Doomsday Clock # 6 to find out.